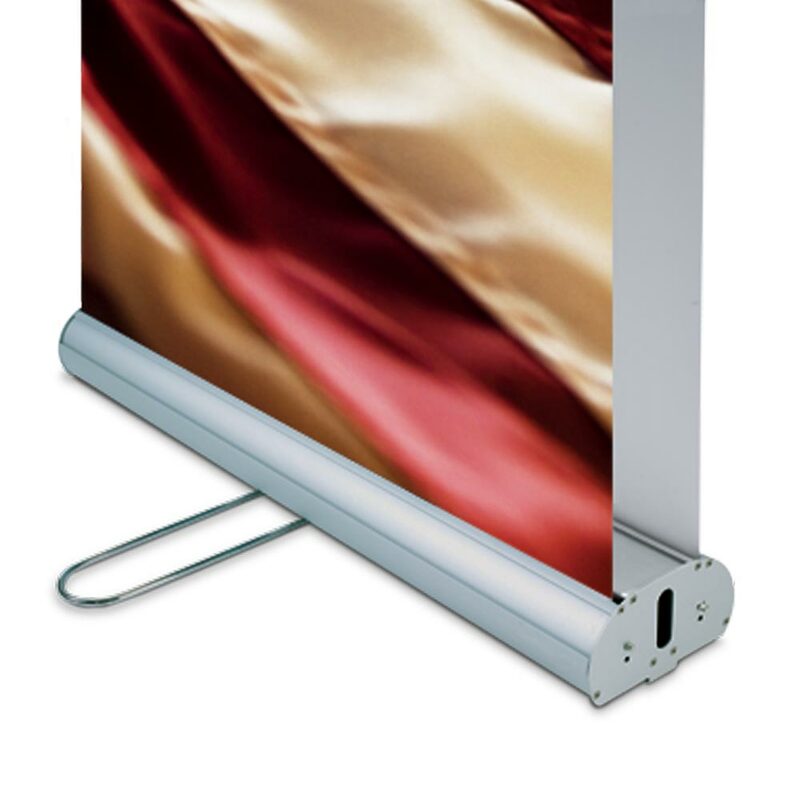 There is a single pole for this unit which supports both graphics and a twist out foot for greater stability. As this product features two graphics, two separate designs can be supplied (one for each side) at no extra cost, An ideal option if your event is in an open location so people can walk around both sides... or maybe an arriving message as they walk in and an exit message as they leave. 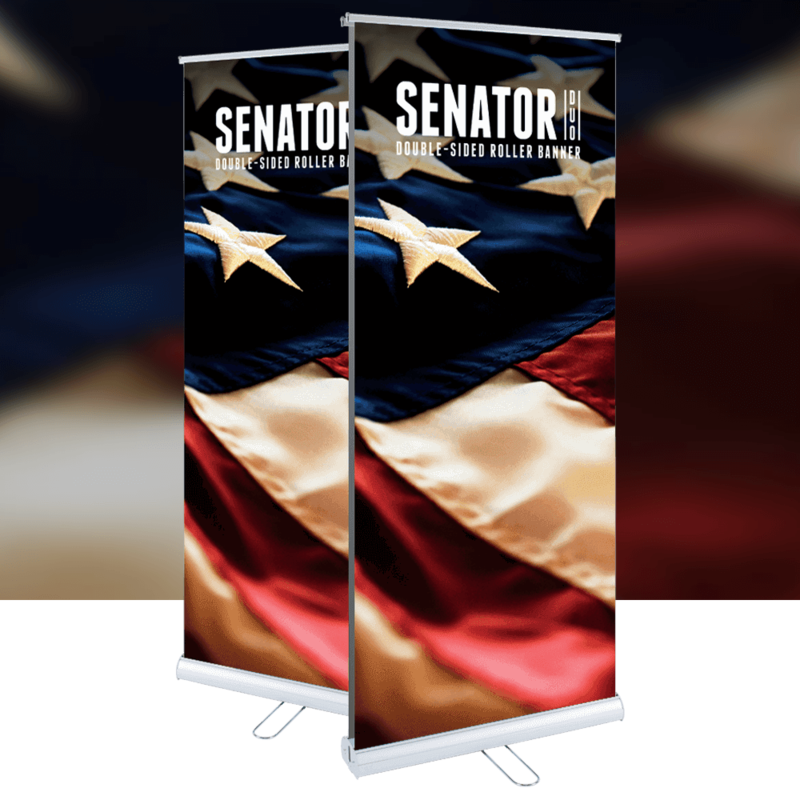 A great dual purpose stand that provides value for money with its double sided graphics.